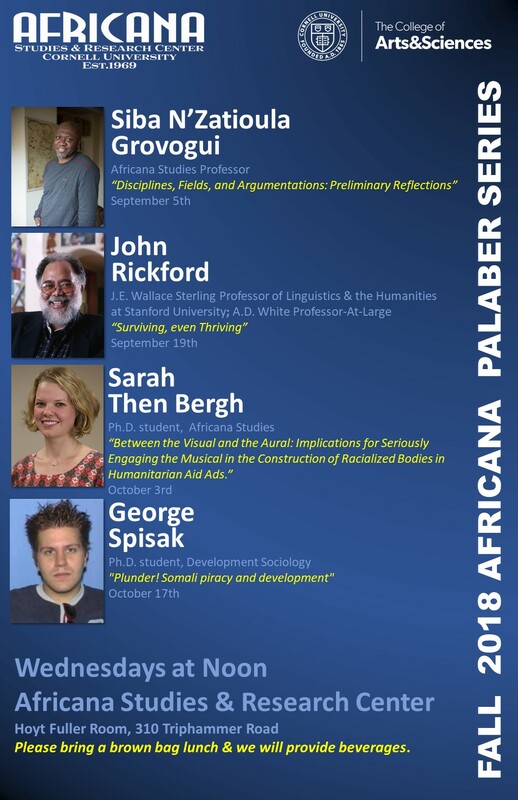 A palaber is used to refer to gatherings in so-called traditional African societies, but is usually used without mention of its actual purpose: to allow members of the community to exchange information, make decisions about the quotidian, render justice, and reflect on issues of concern. Under the baobab tree of the West African savannah, what is derided as palaber was a recurring event whose forms and agendas were generated in open and respectful consultation of the whole. Thus understood, palaber is respectful of wisdom and experience but it also values new perspectives, fresh ideas and views from its own community of scholars and partisans as well as guests from all horizons. These include the novice, expert, sage, professional, and/or simply those with interesting life or professional experiences, extending to the well-traveled, transient, and any other peculiar entity. Lunch will be provided for this Palaber.